50% More Profit in 4 Weeks was piloted through the Woodard Institute- to rave reviews. 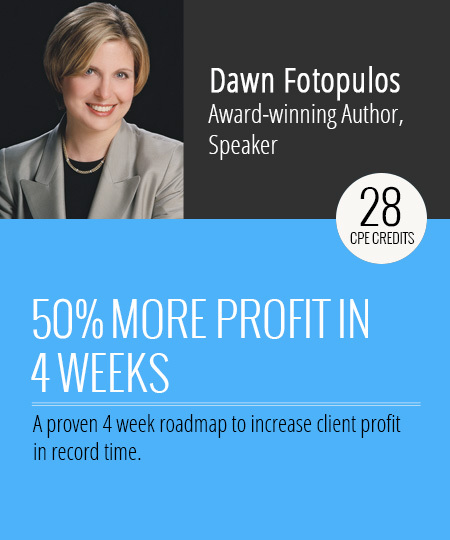 It is the only course online that takes accounting professionals through a proven 4 week road map with their business clients to grow profits in record time. This program is run like a workshop. It’s very hands-on. Your instructor walks the accounting professional through how to expand their practice beyond tax preparation to grow the profitability of their practice by becoming a business analyst. Available to enrolled students only.